winning. 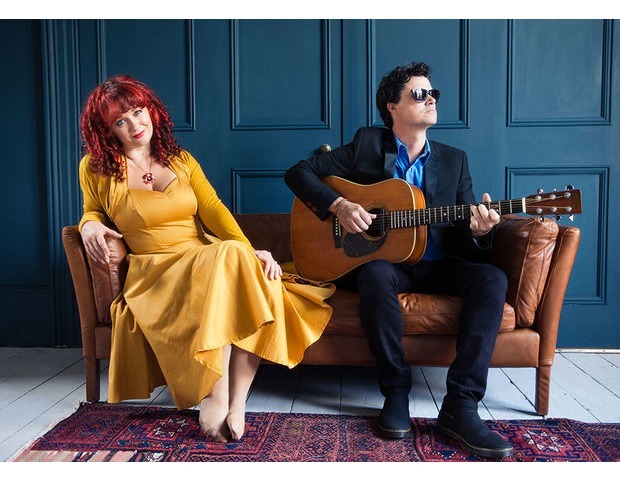 Bonded by an unseen alchemy, Kathryn Roberts and Sean Lakeman have entwined their professional and personal relationship into an enviable class act of imaginative songwriting and musicianship. sweet, the wry to the sad, the political to the passive. across folk, rock, country and blues genres. cornucopia astutely delivered by one of the most intriguing, uninhibited and popular duos on the British folk scene. Most definitely not 'personae non gratae'. Contact Us if you would like to book a table for some food before the gig. We are delighted to have the wonderful singer from East Yorkshire, Edwina Hayes, playing at Everything Good Goes on March the 6th. Edwina's beautifully written songs, charming stage presence and voice of an angel have won her a reputation as a true natural talent of gentle folk-Americana. 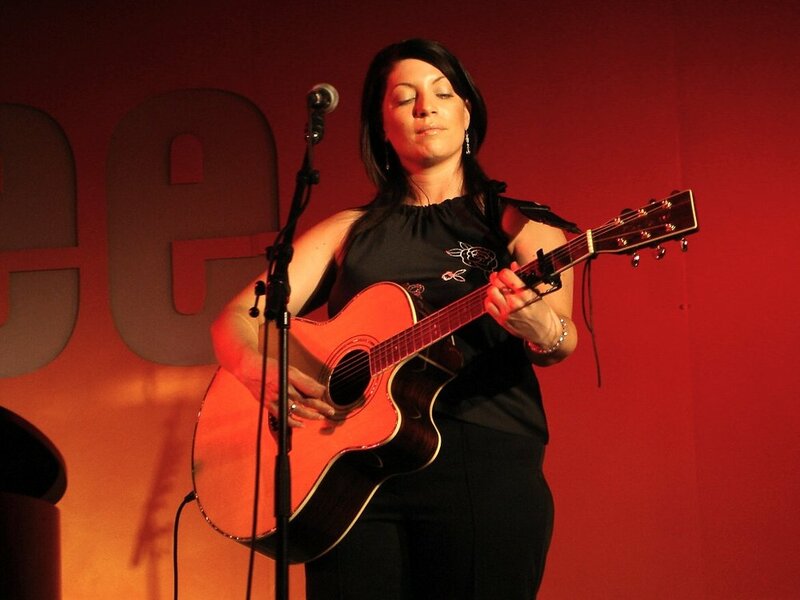 She has opened numerous shows for Jools Holland and Van Morrison as well as her own gigs playing stages everywhere from Glastonbury Festival to The Royal Albert Hall. Edwina numbers Michael Parkinson and Mike Harding among her fans and the title track of her album Pour Me A Drink was covered by Nanci Griffith who calls her 'the sweetest voice in England'. Hull’s 4th favourite comedian Jed Salisbury returns to E.G.G. 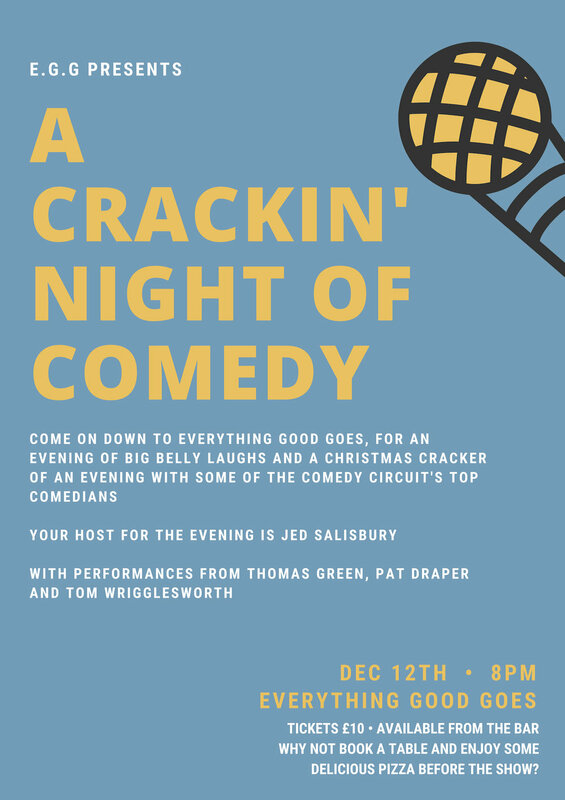 for a third time to host a Christmas cracker of comedy. Thomas Green is a UK-based Australian comic on the rise, with engaging story-telling and an energetic style. Since moving to the UK Green has been establishing himself on the circuit for the likes of Glee, Hot Water Comedy Club, Top Secret Comedy Club, LOL Comedy Clubs, Just The Tonic, Gag Reflex, Hull Comedy and Funhouse Comedy. Patrick Draper is a deadpan comic based in Nottingham. Patrick appeared on the scene in 2011 and has earned a reputation for his laissez-faire, nonchalant style with a with a mixed bag of deadpan jokes, visual gags and songs. In 2015 Patrick took his show atrick "Absolutely Vacuous" to the Edinburgh Fringe festival and received a "Highly Recommended Show" accolade from Fringe Review amongst other glowing critiques. Tom Wrigglesworth is an established stand-up comedian, radio and TV presenter and voice-over artist from Sheffield. Best known for his incredible live story-telling shows and BBC radio comedy programmes, Tom is now firmly established as one of the most original, talented and respected comedians on the UK and International comedy circuit. Why not book a table and have some delicious pizza before the show? Call us on 01937 832643 to make a reservation. Tickets are still available for the gig, but please note that we are now fully booked for food on the evening of the performance. 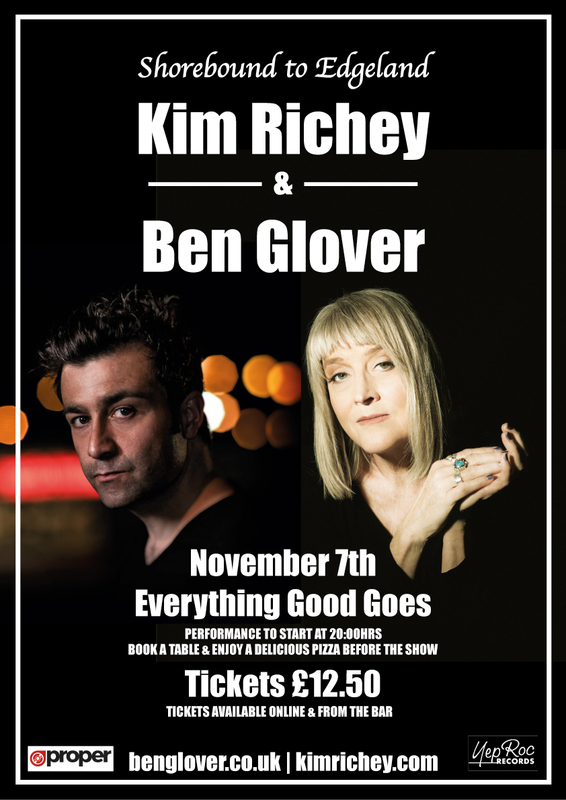 Ben Glover was so good when we had him in April that we're bringing him back to Everything Good Goes this November alongside Kim Richey for an evening of quality live music. The music of Americana artists mixed with Irish music was the soundtrack for Ben Glover growing up in the sleepy seaside village of Glenarm in the north of Ireland. This musical theme is woven throughout his life - one artist influenced by two countries connected by the Atlantic Ocean. Glover's relocation to America in 2008 has allowed him to explore his influences in depth while keeping a firm grasp on his Celtic roots. Kim has a long history writing country & folk songs and, in 1996, earned a Grammy nomination for the best country song - Believe Me Baby (I Lied). Throughout her career Kim has followed wherever the music has taken her, constantly travelling through different towns and countries. "I've lived in a lot of different places - different countries even. It's a little overwhelming, keeping track of stuff, but it's been an amazing trip because music has taken me places I never dreamed. "I'm the same way with writing. Even when I've finished a record, or am in the middle of recording, I'm writing. Writing songs is what I do; it's how I connect with the world." Please note: Strictly over 18s only. 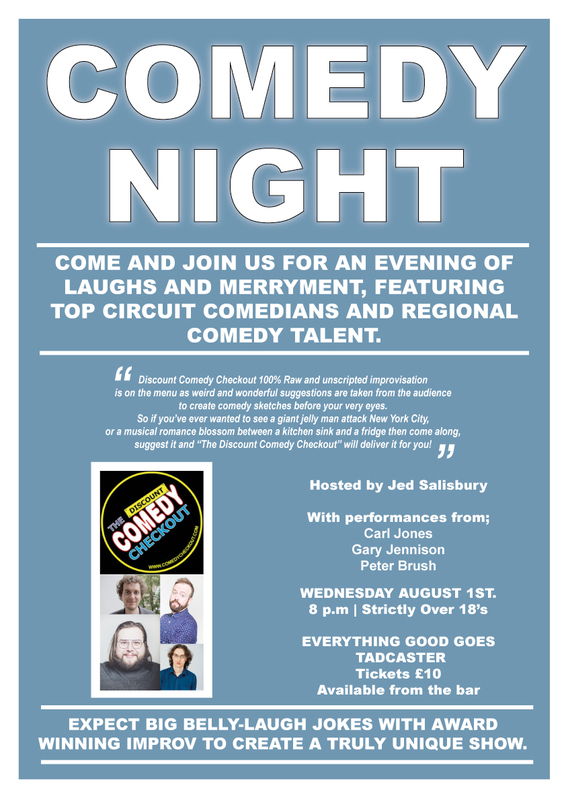 Come and join us for an evening of laughs and merryment, featuring top circuit comedians and regional comedy talent. 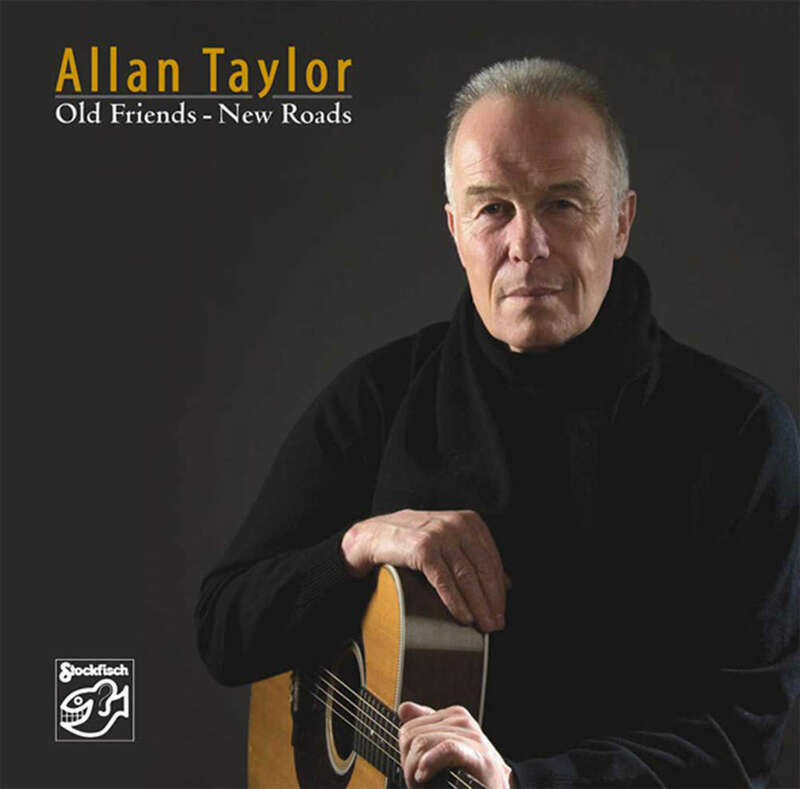 We are very excited to have folk singer-songwriter Allan Taylor coming to Everything Good Goes on the 5th of September. Allan has been travelling the world for the past 50 years; performing at festivals, concert halls and clubs. He represents one of the last travelling troubadours to come through the sixties as a solo singer-songwriter. In the 1970s, Allan moved to New York where he played legendary clubs such as Gerde's, The Gaslight, The Bitter End and The Mercer Arts Centre. He also toured throughout America. 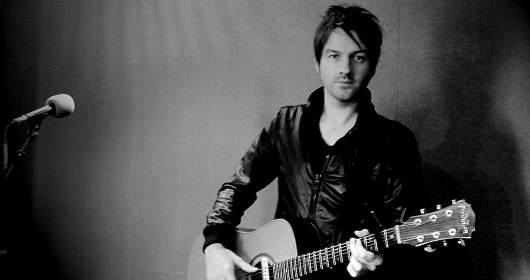 Allan's music and writing comes from his travelling. He travels alone; writing his songs in cafes, bars and hotel rooms. Always the observer passing through, there is always a place in Allan's songs for the lost and lonely, unsung heroes and those on the peripherals of society. Strictly no under 18s admitted. We have a treat in store for fans of Americana when Northern Irish singer/songwriter Ben Glover comes to Everything Good Goes on the 16th of May. Glover relocated to Nashville in 2008 to explore his influences and has since come to the prime of his creative journey. He is now regarded as one of the shining lights of the Americana genre, with influences from both Irish and southern America really coming through in his music. Glover produces a unique, raw and soulful tone that resonates instantly with the listener; something we're really looking forward to bringing to Everything Good Goes. Ben's new album 'Shorebound' is released on the 4th of May; just two weeks before the gig. You can have a listen to his new single 'Kindness' by clicking here. Everything Good Goes has another fantastic evening of LIVE music lined up for fans of original singer/songwriters. On Wednesday, April 4th, we are hosting Alistair Griffin who first made an impact when he took part in Fame Academy in 2003. He has had 2 hit singles and top 20 album. Since those early days, Alistair has proven himself as a singer songwriter known for writing tracks that are synonymous with sport. Featured by global media organisations, Alistair's anthemic music is used extensively to soundtrack major sporting events including Formula 1, Wimbledon, the FA Cup, the British Open and most famously, the Tour de France. Alistair's proudest moment arrived as the Tour de France came to Yorkshire in 2014 as he penned and performed the Official Anthem for Yorkshire's Grand Depart alongside Kimberley Walsh. 'The Road' perfectly sound tracked the epic cycle ride as Yorkshire was showcased to the world.